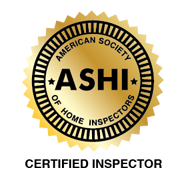 As an ASHI certified provider of Home Inspection Services, Twin Peaks Inspections adheres to the industry’s most rigorous standards. 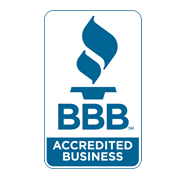 Every Twin Peaks inspection conforms to ASHI’s industry-leading Code of Ethics and Standards of Practice, and we are so confident you’ll be pleased with our level of service that we offer our own 200% Money Back Guarantee on every inspection we perform! Pre-listing inspections for home sellers: Finding out in advance what potential buyers might ask for you to fix will help you get as much out of your sale as possible. Armed with our report, you can have repairs made before listing your home with enough time to shop around and to learn your options. Pre-purchase inspections for home buyers: No one wants to discover problems with their new house after closing. 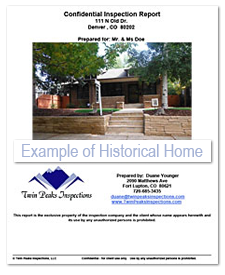 Have your prospective home inspected by Twin Peaks Inspections so you can have the seller fix them or reduce the price. Small commercial building inspections: If your business is purchasing property, the last thing you need is to discover problems with the building while establishing your new place of operation. Make sure to have a thorough inspection of your new commercial property before finalizing the sales process, so that you can get back to focusing on growing your business without worrying about your new building. New construction inspections: Building a home is such an enormous undertaking that it is very difficult for even the best builders to catch every single detail. Get a dependable second opinion before closing on your custom built home before sign-off–we’ll help you get the punch list together for your contractor. Builder’s Warranty inspections: If your newly-built home came with a Builder’s Warranty, you need to have your home professionally inspected before you’ve lived there for a year! Any visible signs of defects will be noted in a report you can give to your builder before the warranty expires. Let Twin Peaks Inspections help ensure that you get everything you paid for. Radon Monitoring: Radon is an invisible, odorless, and naturally occurring radioactive gas which rises directly out of the ground. While radon is all around us outdoors in small concentrations, a home has the potential to trap the harmful gas, thus creating unsafe concentrations in the place we spend the most time. Radon is the #2 leading cause of lung cancer. Knowing the radon levels of your home can help you make educated decisions regarding radon mitigation. Winterization and De-winterization: If you own a rental home or will be gone during the cold months, ensure your home is ready for the Front Range’s winter with our Winterization services. Burst pipes and other winter related house damage can be very expensive, especially if the problems are not discovered and remedied quickly. Air pressure testing for plumbing supply: Air pressure testing on supply lines can be provided on homes where the water is off and/or the property has been winterized. Any leaks in a home’s plumbing system can be catastrophic.